It’s finally finished! I am so proud of it. I have to admit, when I started this, what 4 weeks ago I believe, I wasn’t sure I could finish it. I thought I might just get bored. 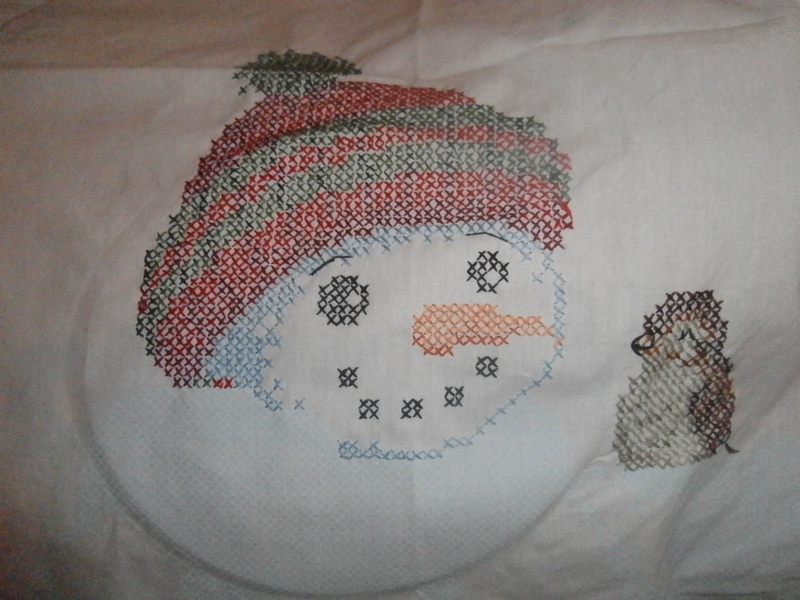 But hour after hour for weeks on end, I stitched and could no stop. Watching the colors pop off the plain white fabric and turn into a beautiful picture that just pops, well, I loved every minute of it. 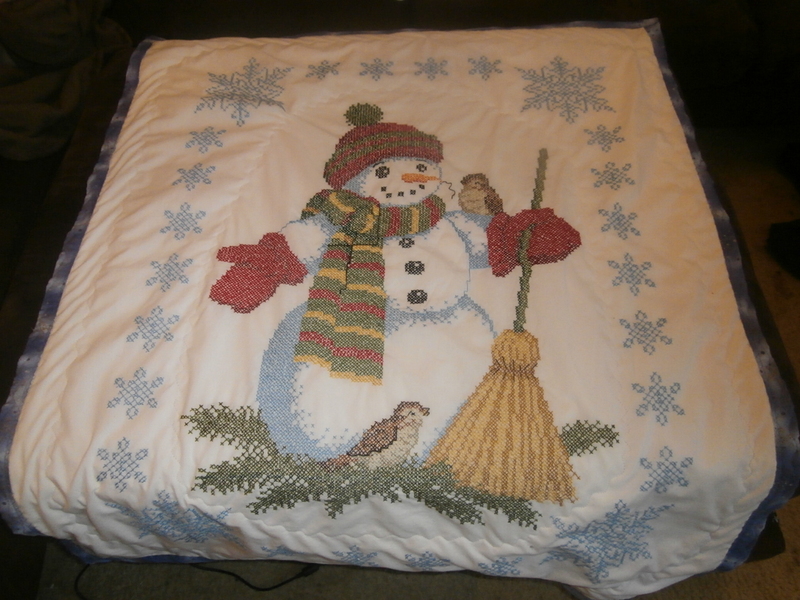 I put in the last cross stitch last night and I spent today cutting and ironing and manged to get it quilted together. I am very proud of it and am excited to start my next project.